The Boston Marathon, held annually on the third Monday in April, is the only mass-participation marathon in the world that requires a qualifying time to participate. Qualifying times are based on the runner's gender and age, and for many runners, making it to Boston becomes a lifetime goal. If you believe you are physically ready to run a Boston-Qualifying (also known as a BQ) time, one of the best things you can do to set yourself up for success is to choose a race that will give you the best chance of running the required time. To help you increase your chances of landing a coveted Boston slot, we rounded up 10 of the best Boston-qualifying marathons across the United States. Looking for a pancake-flat course? Then this is the marathon for you! Starting and finishing inside the Fargodome, this 26.2 promises its runners cool weather, one of the flattest courses in the nation and famous Midwestern hospitality. More than 40 live bands and DJs will also line the course, so you're never short of entertainment along the way. The Last Chance Marathon is always held just a few days before registration opens for the Boston Marathon, and its sole focus is on qualifying as many runners as possible. 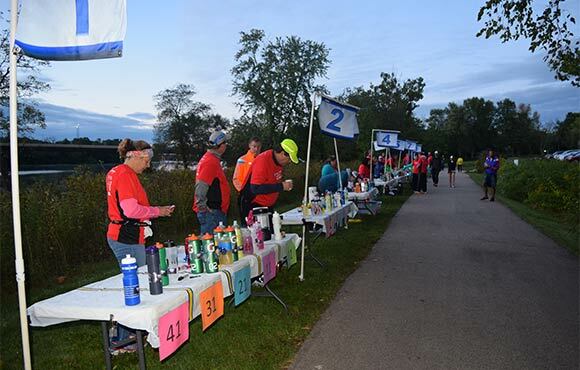 All racers are treated like elites, with the ability to personalize water bottles with a drink of your choice, among other perks, ensuring a race day with no setbacks. Pacers for this race aim to run you across the finish line at least three minutes under the qualifying limit, so you don't just qualify, you also up your chances of toeing the starting line in Boston. Routinely, over half of the field runs BQ times—the highest in the country. 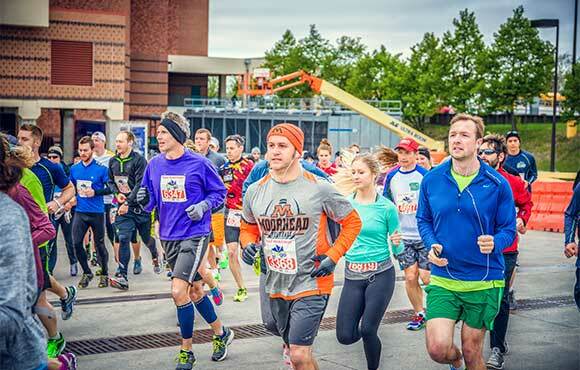 "Flat, Fast & Fun" is the motto of the Erie Marathon, and it doesn't lie. But it will be especially fun if you BQ, and since more than 30 percent of the race's 2016 participants qualified for Boston, we think you have a good chance. 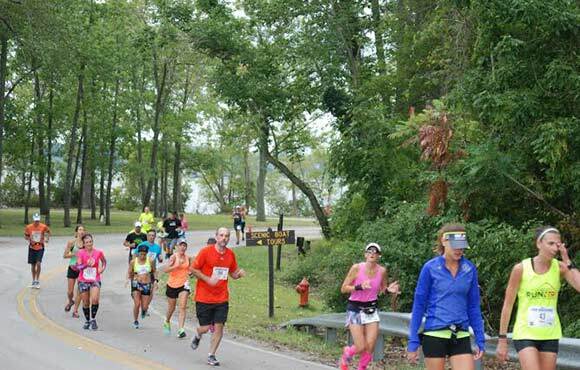 Held on Presque Isle in Erie, Pennsylvania, the flat, double-loop course provides beautiful views of Lake Erie and miles of coastline beaches and wooded paths. The St. George Marathon may be best known for its beautiful scenery, but it also qualified almost 20 percent of its 1,000 finishers in 2016. 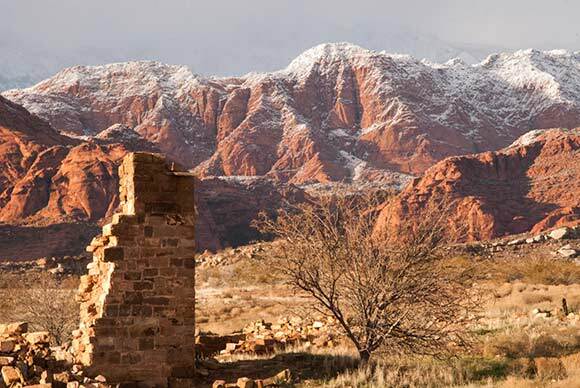 Runners start in the majestic Pine Mountains and run 26.2 miles south while descending over 2,500 feet to the finish in the Utah city of St. George. 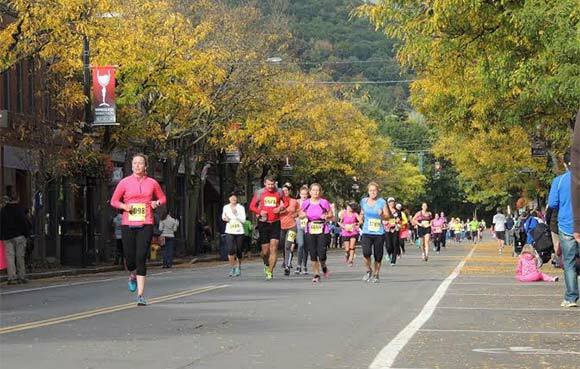 Held in upstate New York in the beginning of fall, the Wineglass Marathon is not just one of the fastest marathons, but also one of the most beautiful. 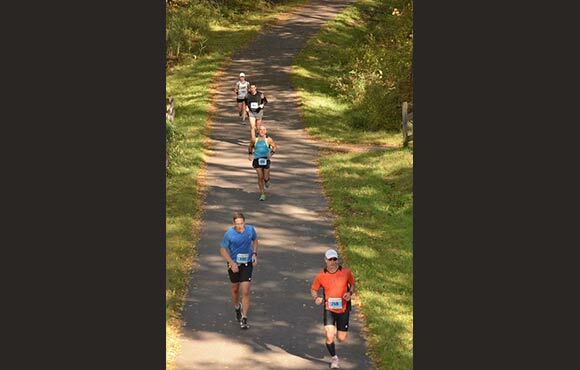 The race boasts a net downhill, point-to-point course (about 200 feet of elevation loss) as runners make their way along the picturesque Finger Lakes. There are just a few small rolling hills along the way and an amazing finish along Main Street in Corning, New York. 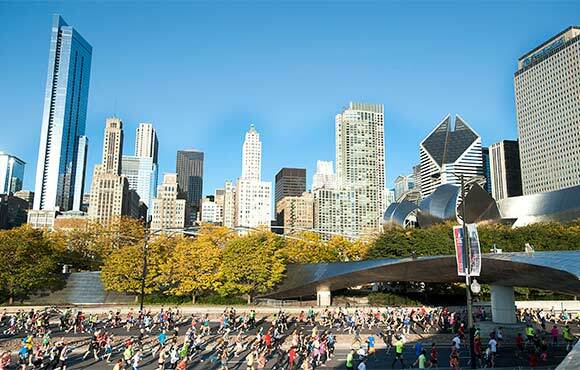 The Chicago Marathon is known for its flat and fast course, amazing crowds and party atmosphere for 26.2 straight miles. 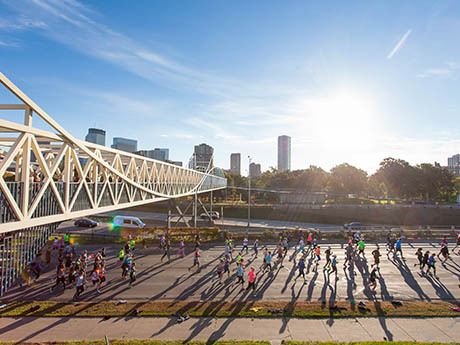 You'll get a beautiful tour of the Windy City as you run through the area's 29 diverse neighborhoods—with over 1 million spectators cheering you on as you go. The Mohawk Hudson River Marathon is one of the fastest courses in the country, and in 2016, over 22 percent of its runners took advantage of it by earning their own BQ time. The community-supported race takes runners along a mix of downhill and flat terrain on a point-to-point course along the Mohawk and Hudson Rivers. The Baystate Marathon, which touts itself as a race "For Runners - By Runners," takes place on a pancake-flat, double-loop course in mid-October. 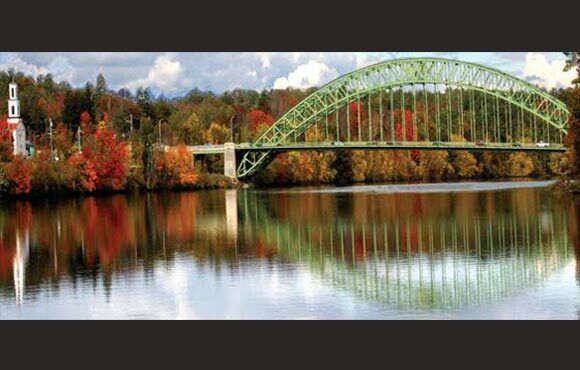 Most of the race's 26.2 miles are run along the Merrimack River, and runners will cross it four times as they make their way past various small towns along the way. In 2016, the Baystate Marathon saw nearly 25 percent of its finishers qualify for Boston, making it one of the best qualifying races in the country. 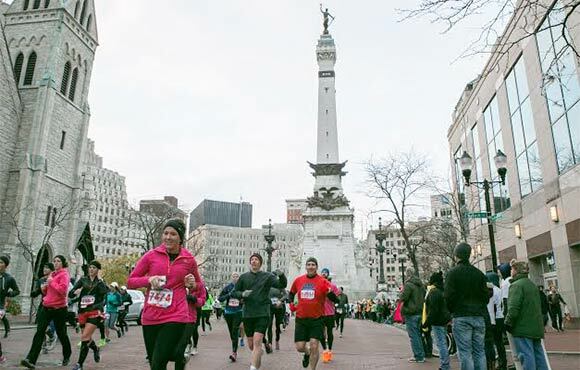 One of the top 20 largest marathons in the U.S., the Indianapolis Monumental Marathon is relatively flat with a few small, rolling hills. The crowd support, great course and cooler fall weather help over 14 percent of its entrants run BQ times each year (almost 600 runners qualified in 2016). The race has sold out for the last four years, so be sure to stay on top of registration when it opens on November 6, 2016. The California International Marathon (CIM) gives runners a very fast, point-to-point, downhill course in Northern California. 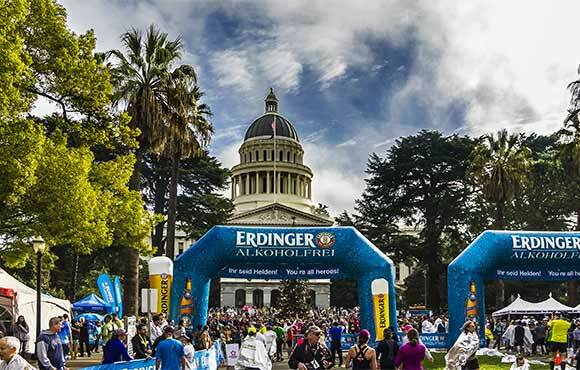 The course begins in rural countryside, runs through Orangevale, Citrus Heights, Fair Oaks and Carmichael, and then finishes under a canopy of trees at the State Capitol. CIM, also known as "the fastest course in the West", qualified over 23 percent of its 2015 participants. Michele Gonzalez is a mom of two young boys, a 3:15 marathoner, Ironman and ultrarunner. She is a West Point grad and former Army Captain/Iraqi Veteran x3. She blogs at NYCRunningMama.com. You can follow her on Twitter, Instagram, and Facebook.